If you’ve been following my series on blogging for profit, you’ll now have a high quality blog with a growing audience in a well-defined niche. But how do you turn that into revenue? In this final post in the series, I’ll examine that question. I’ll explore the options for monetizing your blog, and identify what our case study bloggers do to make money from their blogs. So you should review your monetization strategy (yes, let’s call it something as grand as that) on a regular basis, identify what’s working and what isn’t, and look at new trends with a view to identifying if they could work for your blog. You’ll also need to consider how your audience and your content are evolving, as that will affect how you make money. Most blogs will have a combination of revenue streams, which varies over time. Do your research before you decide how you’ll monetize your site, and don’t just get yourself a Google AdSense account because that’s the easy thing to do. Your blog will make more money, faster, if you research your audience, your content, and what forms of monetization fit them best. The competition – What methods do other blogs in your niche use? For example, in fashion, interiors and beauty blogging, affiliate marketing is threatening to overtake advertising. Bloggers can earn significant sums for affiliated or sponsored content. Your audience – If your audience is cynical of online advertising with a high prevalence of ad blocking, you’ll need to be smart. Traditional advertising won’t work – you’ll need to identify other methods. Your time – Simple advertising placed on your site is by far the quickest method – just set up the adverts, pay your fees, and you’re good to go. Other revenue streams can take more effort, so if you’re blogging in your spare time, this may not be for you – at least not in the early days. Your business goals – If your blog supports a business, then you may not want to include advertising on your site as it could impact on your credibility. Or (like us) you may want the promotional material on your site to be for your own products. Your reach – The greater your audience, the more opportunities will be available. For example, sponsored content will only be available to bloggers with a well-established audience. Marketers are discovering that they can reach a much larger and more engaged audience far more cheaply by working with bloggers than by paying for expensive TV or magazine advertising. Your skills – If you’re a writer, then selling a book via your blog may be a way to make money. If you’re an interior designer, you can sell mood boards or maybe create a line of products to market through your blog. It will all depend on you, your skills and your niche. These questions will help you decide on the most appropriate monetization strategy. Remember that this will change over time – for example as your audience grows, opportunities for sponsored content will be more likely. Now let’s take a look at the major methods of making money from your blog and how to get the most from them. If your blog makes direct revenue, then that means it’s selling something directly to your audience. This could be products, services, resources or the content itself. Some well-established news websites (for example the London Times – click the link and you’ll see what I mean!) have set up a paywall, while others (such as the Guardian) believe that their content shouldn’t be restricted and instead raise money via advertising or through membership schemes. Charging visitors to access all of your content is unlikely to be successful, as you don’t have a well established and influential brand. But you could charge for some of your content. 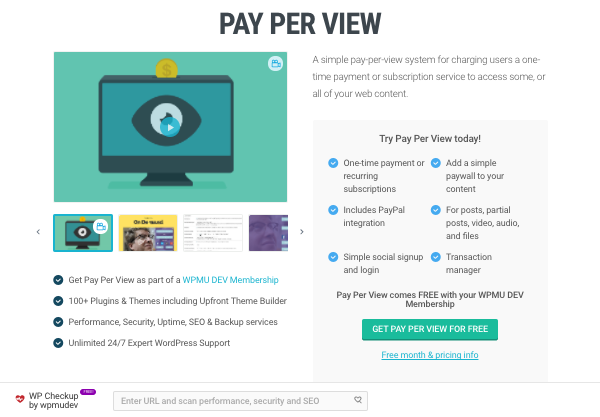 Our Pay Per View plugin lets you specify content on your site that people have to pay to consume. This may be longer posts, downloadable resources, video or whatever you choose. But my advice would be to take it easy and resist the temptation to charge for too much, or you’ll lose your audience. Alternatively, you could charge a membership fee, giving members access to extra content on your blog as well as to a community they can interact with. Again be wary – you need to have enough free content to entice people in, and it may be worth making membership free in the early days while you build your audience. Our Membership 2 Pro plugin makes it easy for you to set up a membership site with varying levels of access. You can have multiple membership plans, specify which content types or individual posts are restricted to members (and at what level), and have a community that only members can access. None of the blogs we’ve been looking at in this series use membership, but one WordPress site that’s been very successful in selling membership for access to quality content is Post Status. Advertising, despite the rise of ad blockers, is still the most popular form of blog monetization and is present on millions of blogs worldwide. The simplest option is to set up a Google Adsense account and combine that with a plugin to display adverts on your site, which will give you more control than just using the code provided by Google. 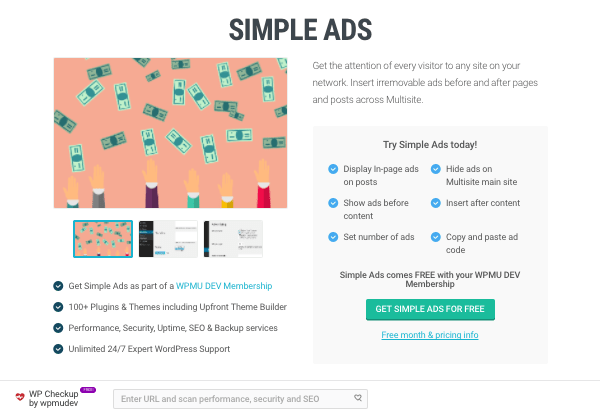 Our Simple Ads plugin makes it easy to display adverts across your site, or alternatively our In Post Ads plugin lets you insert adverts within your content. This can be more effective as the adverts are less likely to be filtered out by visitors accustomed to ignoring everything around the edges of the page. But Google isn’t the only option when it comes to advertising. As your blog grows it’s worth taking the time to identify and work with other providers, which can bring in a higher revenue per ad and per click. Google’s adverts can be unsightly and will always be the prime target of ad blockers, so having more than one advertising string to your bow could benefit you. Alternative providers include Amazon Associates, Propeller Ads, Media.net, Infolinks and Chitin. All of our case study blogs use advertising. 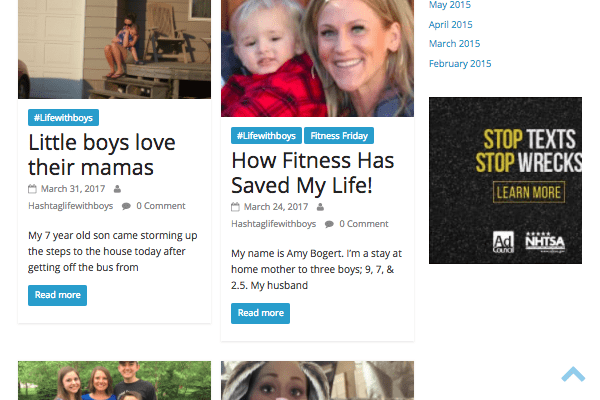 #lifewithboys is unusual in this group as its advertising is very subtle, which perhaps reflects that fact that the blog is more of a hobby than a job for its writers. 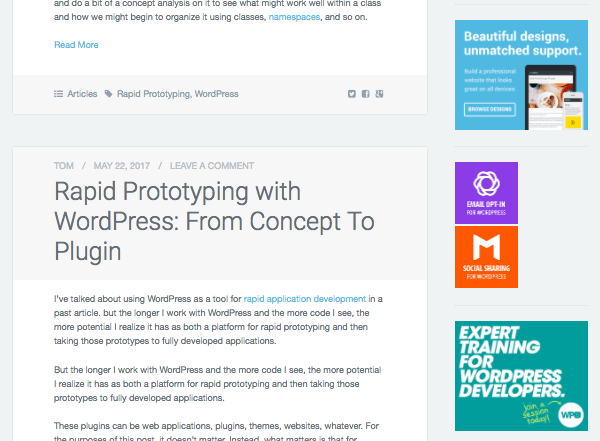 Even Tom McFarlin’s blog, which supports his business as a WordPress developer, includes adverts – although these are more subtle and targeted than the other blogs, only advertising products and services relevant to his content. 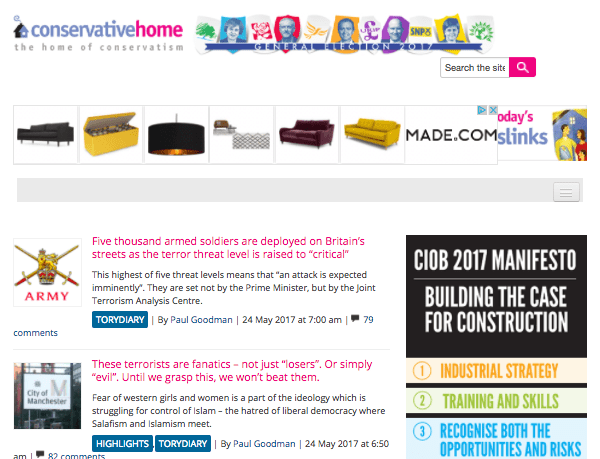 The ConservativeHome site, in contrast, uses a mix of contextual and directly placed ads – the advert at the top of the screenshot reflects the fact I’ve been shopping for a sofa, while the one on the right has no relation to my browsing history or to the website’s content, giving it more in common with the adverts found in traditional media. In some niches, using your influence to generate revenue via sponsored posts and/or affiliate links is mushrooming. This is particularly the case with lifestyle blogging. 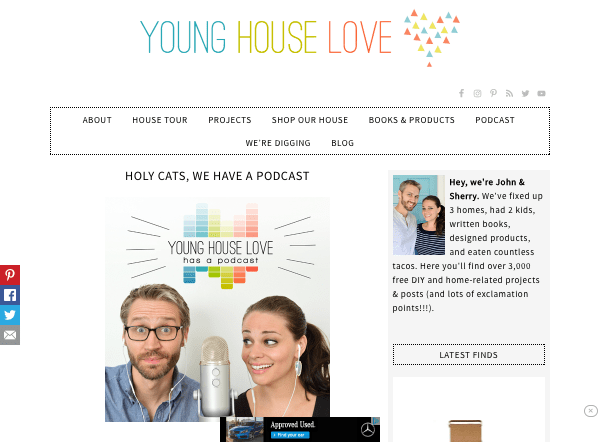 Young House Love is unusual in its niche as it doesn’t include affiliate links or run sponsored content, but this may be down to the fact that it’s not its owners’ sole source of revenue – they have day jobs, in the advertising industry ironically, However the Young House Love podcast does have a sponsor for each episode, with discount codes available via a link publicised via the podcast and its page on the website. Affiliate links are easy to set up when you start out, and if you’re lucky they can raise small amounts of revenue from the beginning. Providers such as Amazon Associates, Linkshare and VigLink can help you set up affiliated links, with varying degrees of automation. The automated links can be a bit odd if you don’t set things up correctly though – make sure they’re relevant to your site and not inappropriate. Sponsored content becomes relevant when your audience reaches the size where advertisers will sit up and take notice. A strong and loyal audience means a well-targeted audience of people engaged with a subject and likely to be influenced by what’s on your site – which advertisers love. Sponsored content takes different forms, from writing your normal content with featured products included in the copy, to basing an entire post around a review of a product or service, to being paid for the sponsor to place their own content on your site. Which you use will depend on the balance between what you’re paid and maintaining control and editorial integrity. 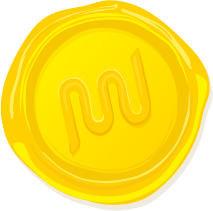 At WPMU DEV we’re often approached by advertisers wanting to place sponsored content on this blog. To maintain the integrity of the content, we always refuse. But that doesn’t mean you should – just make sure your readers know when a post is sponsored, and to what extent. Your blog can also bring in revenue that’s not generated directly by the blog itself. This will include tangible items such as books, product lines (sold on your blog or via a third party), services and more. If your blog supports your existing business, then your monetization strategy will be all about conversion. Every visitor arriving at your site is a potential customer, and your blog’s job is to turn them into one. But you’ll need to be subtle – don’t hammer people with marketing messages or you’ll lose them. Instead, reassure people of your expertise and competence, and use your content to pull in an audience that you can then divert to sales pages. The blog for my web design business pulls in visitors wanting to learn about web design and development, and about half of new clients have found me because they googled something I’d blogged about. 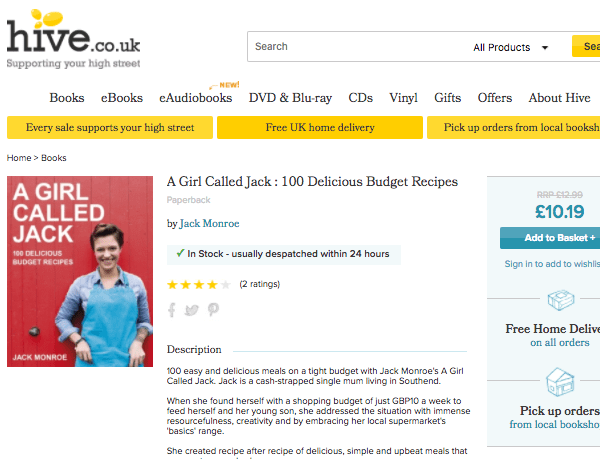 The Cooking on a Bootstrap site includes adverts but doesn’t sell recipes directly – instead, it includes links where you can buy Jack Monroe’s books. The Young House Love site also includes links to places where you can buy their books and product ranges such as lights and hooks. These aren’t sold directly on the site but via third parties. Your blog will help promote your brand, build trust in you and showcase your knowledge and skills. All these will make people more inclined to buy from you. So don’t worry that by blogging, you’re giving away your secrets. What you’re doing is giving people a taste of what they’ll have access to if they hire you or buy from you. I’m not making any wild promises: your blog will probably make no money in the early days, and it will take time to make money as you build your audience and develop more and better content. It could be years before you’re able to give up your day job. But with thorough research and the right monetization strategy, it’s possible to make a very healthy living from blogging. It’s enjoyable, but it is work. Hard, fun work. Enjoy it! Do you run a blog or are you interested in starting one? Share your thoughts and questions in the comments below!